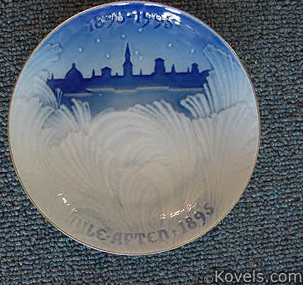 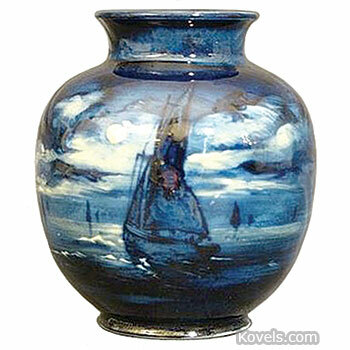 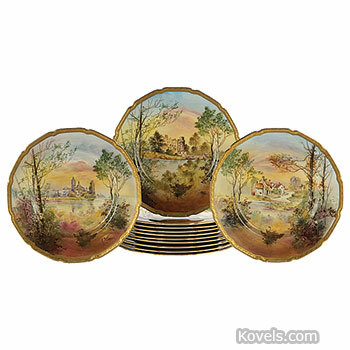 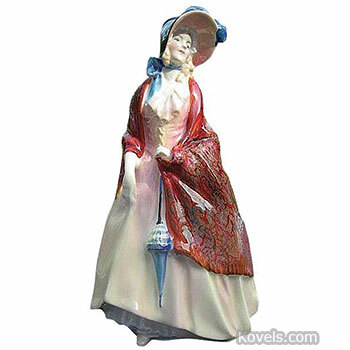 Royal Doulton is the name used on Doulton and Company pottery made from 1902 to the present. 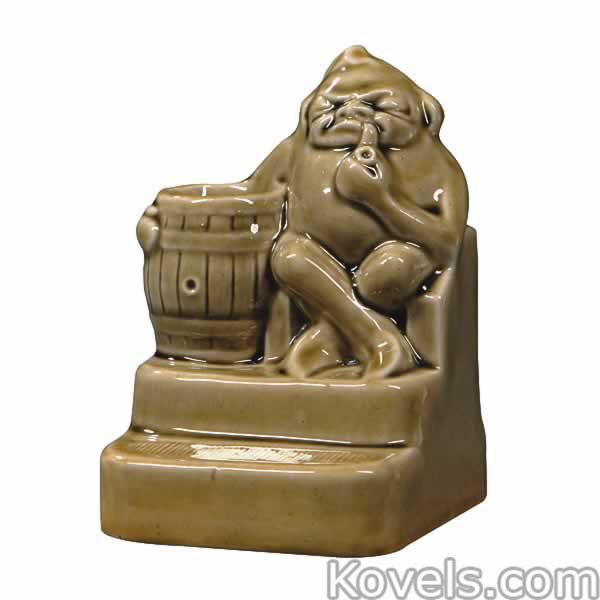 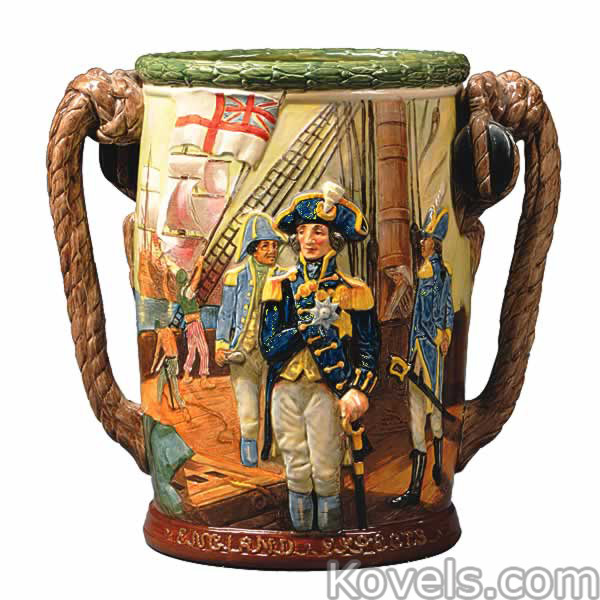 Doulton and Company of England was founded in 1853. 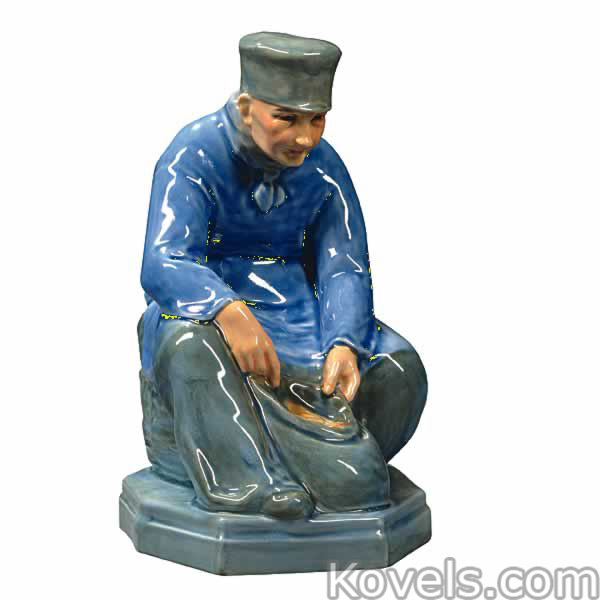 Pieces made before 1902 are listed in this book under Doulton. 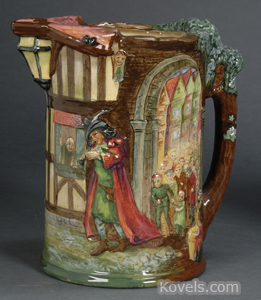 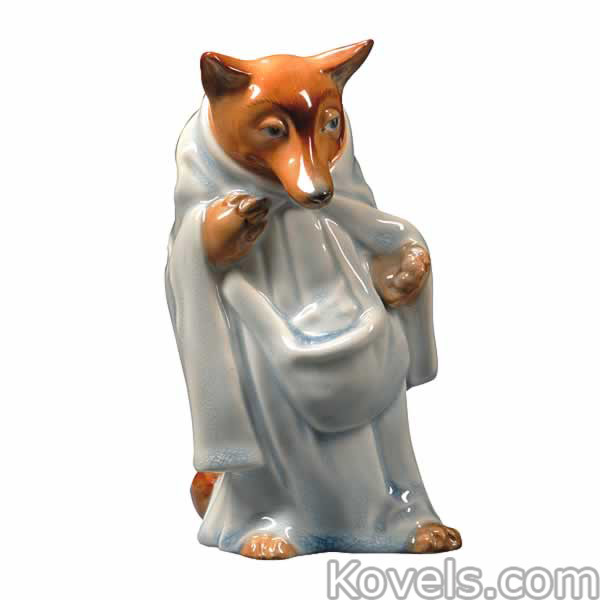 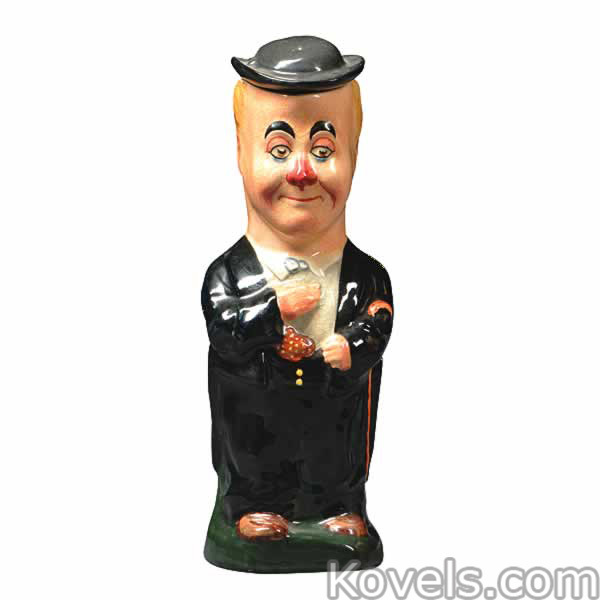 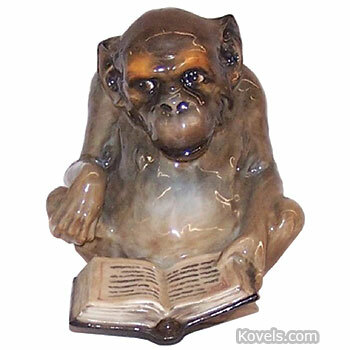 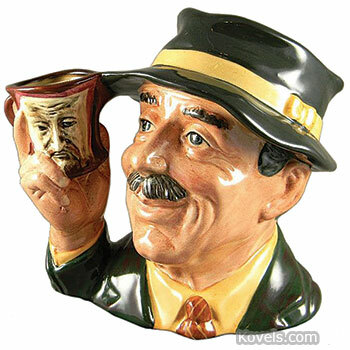 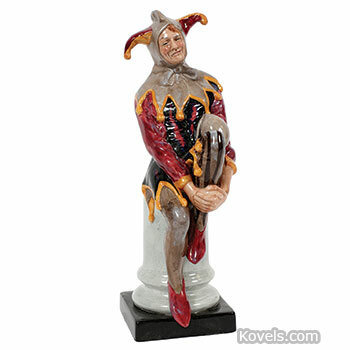 Royal Doulton collectors search for the out-of-production figurines, character jugs, vases, and series wares. 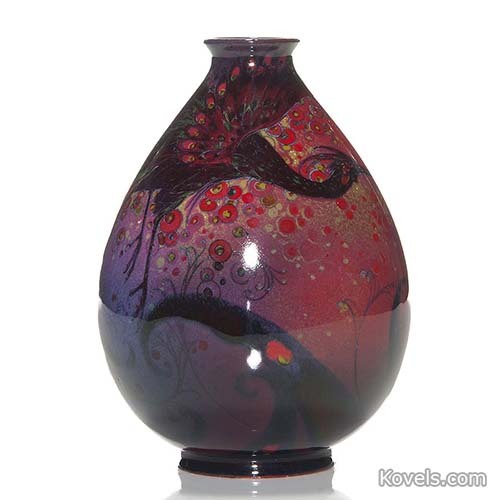 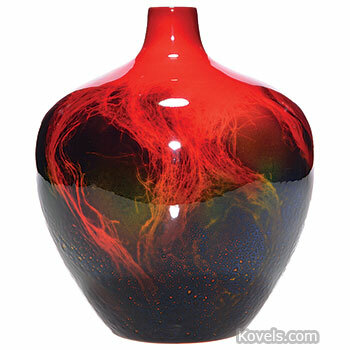 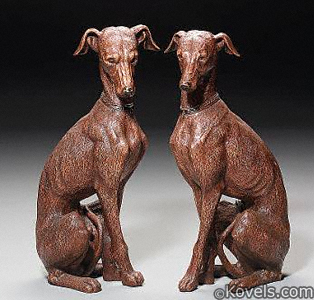 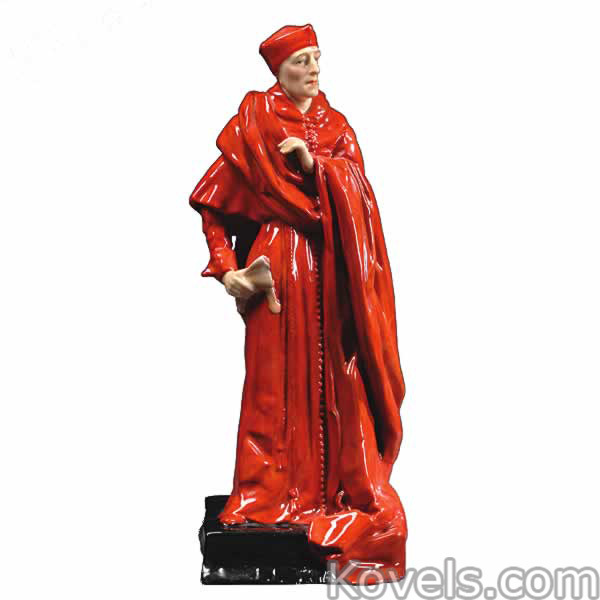 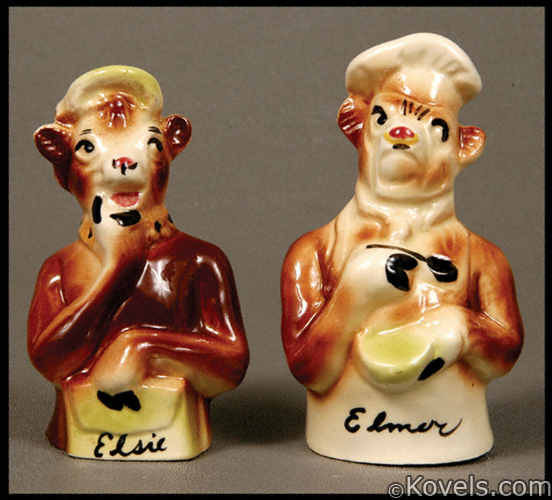 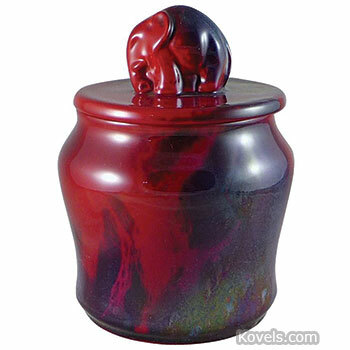 Some vases and animal figurines were made with a special red glaze called flambe. 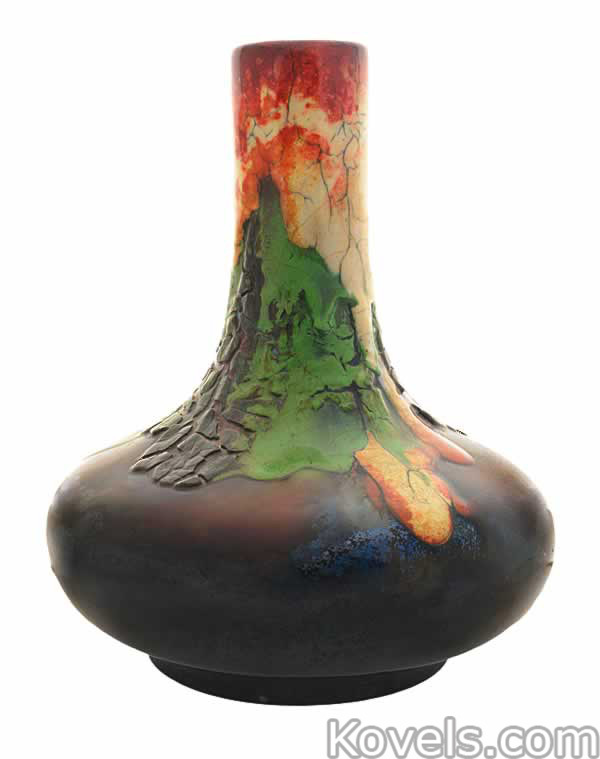 Sung and Chang glazed pieces are rare. 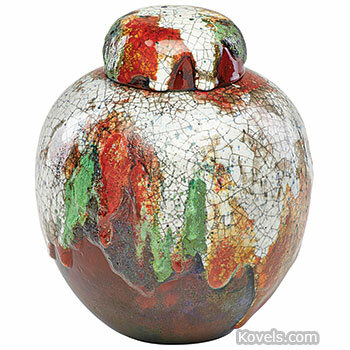 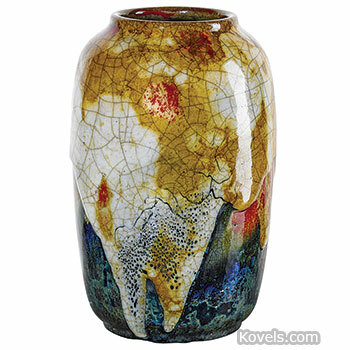 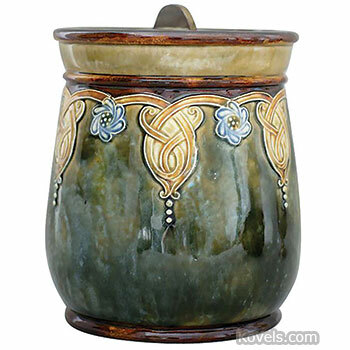 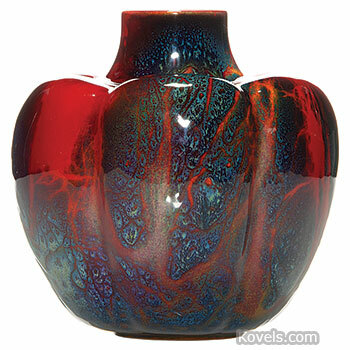 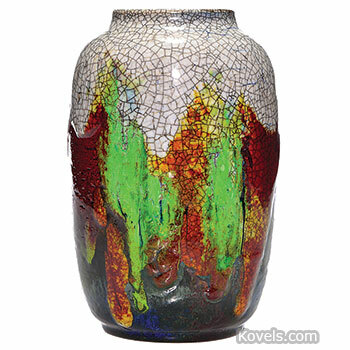 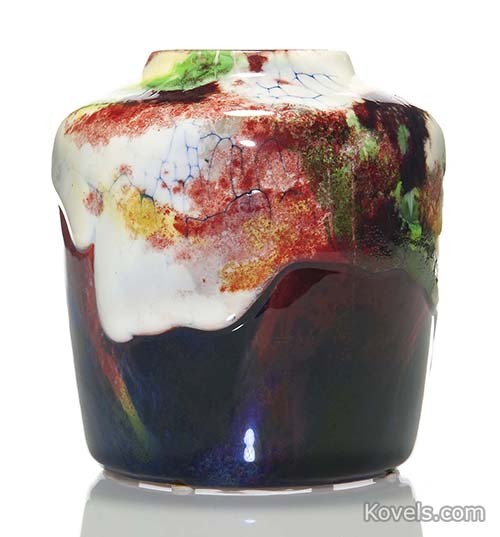 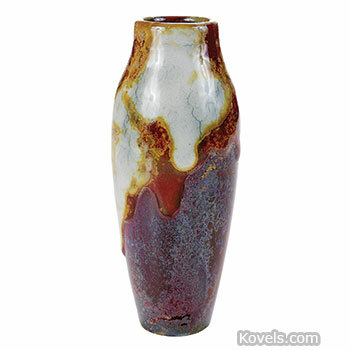 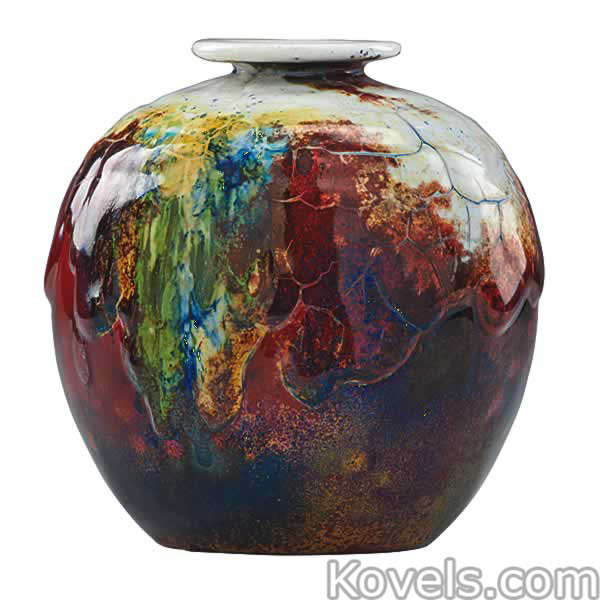 The multicolored glaze is very thick and looks as if it were dropped on the clay. 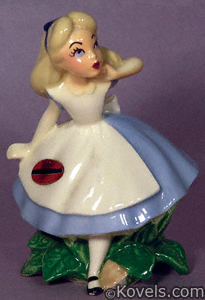 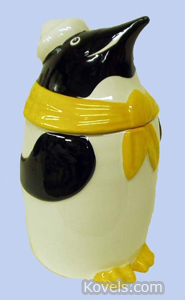 Bunnykins figurines were first made by Royal Doulton in 1939. 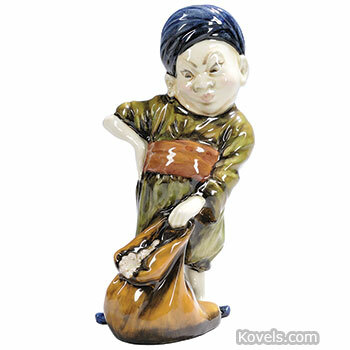 Royal Doulton also made Titanian ware, a thin porcelain in pastel colors that was made from about 1915 until the early 1930s. 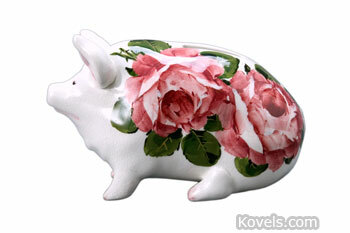 In 2005 Royal Doulton was acquired by the Waterford Wedgwood Group, which was bought by KPS Capital Partners of New York in 2009 and became part of WWRD Holdings. 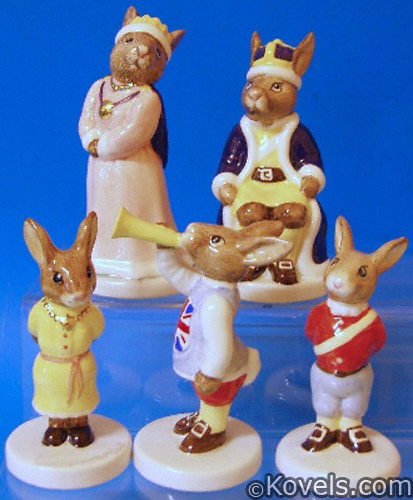 Beatrix Potter bunny figurines were made by Beswick and are listed in that category.